"Modi ji has destroyed the banking system of the country, that's what I have to say about it. 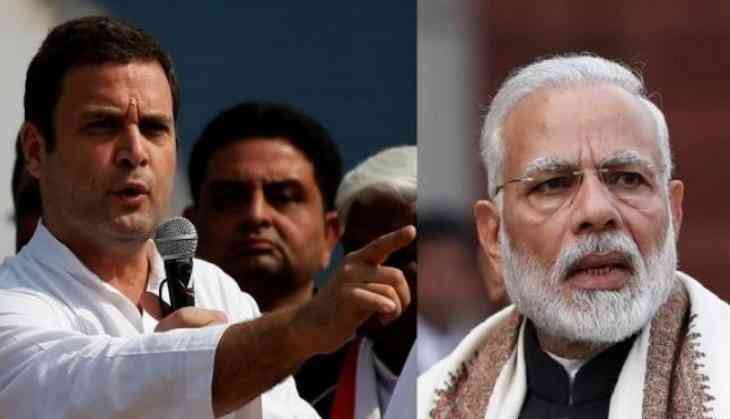 During demonetisation also we were forced to stand in queues as he (Prime Minister Modi) snatched 500-1000 rupee notes from our pockets and put in businessman Nirav Modi's pocket," the Congress supremo told ANI. He also took a dig at BJP-led Central government's slogan 'Ache Din' and questioned as to when 'these goods days' are going to come. The people in various states of the country, including Delhi, Karnataka, Andhra Pradesh, Rajasthan, Uttar Pradesh, Madhya Pradesh, Telangana, Maharashtra, Bihar are facing cash crunch and are not able to withdraw cash from some ATMs. Earlier, Union Finance Minister Arun Jaitley called the cash crunch as a 'temporary shortage' and assured that the situation will be tackled quickly.